On the slaves and master: Autodesk Backburner version matching your 3ds Max version - it is included in the 3ds Max installation package, or can be downloaded and installed separately. 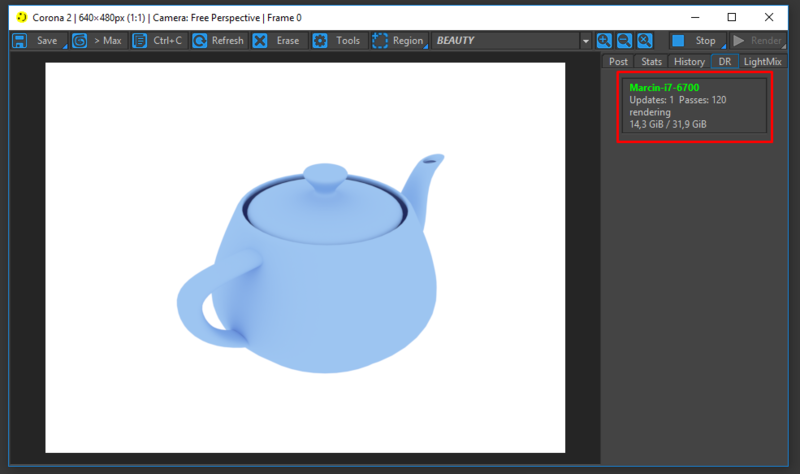 You need to have the exact version matching your 3ds Max version (for example Backburner 2019 if you are using 3ds Max 2019). On the slaves: Corona DR Server - it is included in the Universal Installer, and by default it is installed into C:\Program Files\Corona\DrServer.exe. 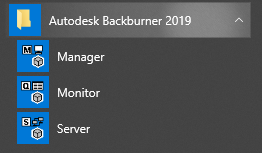 Note: Autodesk Backburner is not directly used in Corona Distributed Rendering process but it is required for it to work correctly. 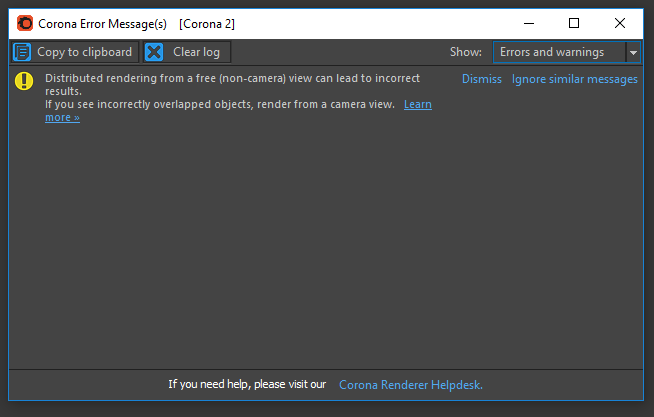 For Backburner installation/uninstallation troubleshooting, see: Distributed Rendering does not work - "Unknown error while loading application"
Both the workstations and the render nodes taking part in the distributed rendering must have Corona Renderer licenses active! 3ds Max does not have to be activated on the slaves. 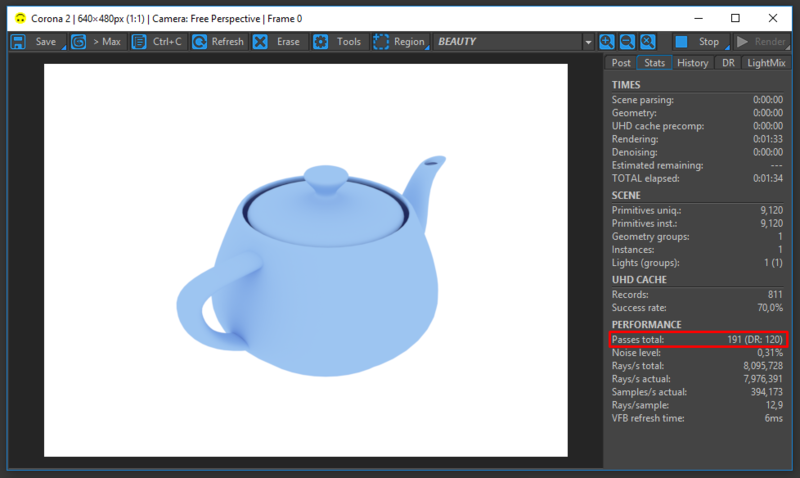 You may use the demo license, or even an expired demo license and that is absolutely fine with Autodesk licensing terms as 3ds Max will be used in command line mode only, without the user interface visible. Note: the DrServer must not be running with elevation (it must not be running "as administrator"). Do not run DrServer on the master pc! 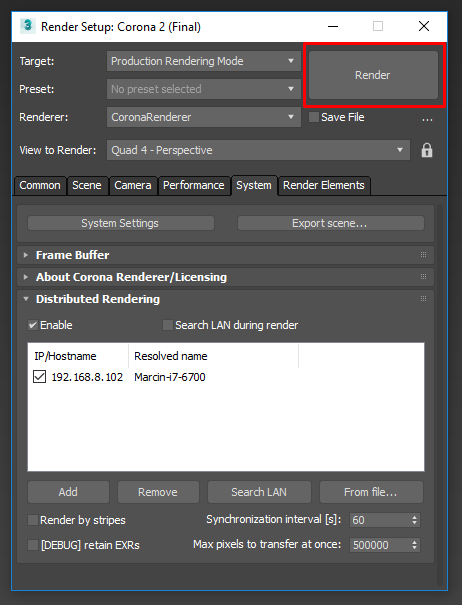 On the master PC: in 3ds Max, go to Render Setup > System > Distributed Rendering, tick the "Enable" checkbox, and press "Search LAN"
On all slaves: a new 3ds Max instance should appear after some time (minimized, so you won't be able to see its UI or the VFB), then it should start rendering your scene, and sending rendered data to the master PC based on "Synchronization interval" time specified in the DR rollout on the master. Note: you can also check "Search LAN during render" option in the DR rollout on the master PC to make Corona search for any machines with the DrServer application running and automatically add them to the rendering even after it has already started. 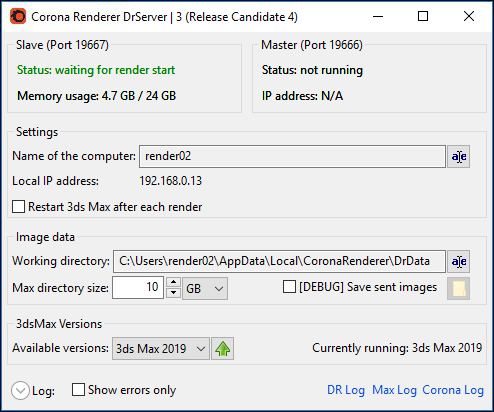 As a result, any machines where the DrServer application was launched at some point during rendering will join, and any machines where the rendering was interrupted due to an error or user intervention will be able to re-join the rendering again. The rendering will stop after it reaches the given render limit, or after you stop it manually on the master computer. In case of render limits, each limit is considered based the master machine statistics, not for each of the slaves. For example, if you set the limit to 10 minutes, the rendering will stop after 10 minutes pass on the master machine, not on the slaves. If you set it to 100 passes, it will stop after the total number of passes (reported on the master machine) will reach 100, regardless of how many passes each slave has rendered. If you use the noise limit, it will stop once the target noise level is reported on the master machine. For known solutions to problems with Distributed Rendering please refer to our Distributed Rendering Troubleshooting section. Note: the error messaging system will catch the known issues, and will warn you about any detected problems. This is often helpful for troubleshooting.